You often hear the term “transitional care” from your doctors and even from your nurses. But you never get to understand the gist of such word and how it greatly affects your recovery. Today, on the blog, we will answer some of your frequently asked questions about transitional care services in our home care in Louisiana, Bayou Home Care. This type of care prepares you for independence. When you have been diagnosed with a certain disease or you have undergone surgery and on the way to recovery, your physician or doctor will be the one to determine whether you need intensive personal medical care or not. What to expect during a transitional care? Your doctor may be giving you the good news that you are now on your road to recovery but they are not quite that confident to send you home yet. Hence, they would recommend you to a transitional care. Through this, the hospital will provide you a full team of nurses and caregivers who will assist you. They will have a personal care plan specialized to meet your needs. In addition, they will also have a multidisciplinary team who can cater to your needs whenever necessary. How can you benefit from transitional care? Your environment is safe and healthy. It is conducive to recovery and you will not feel intimidated at all. Your multidisciplinary team will monitor your condition and they could keep you from readmission if you follow the care plan right. Your family can visit you anytime. You can do more fun activities as well, considering that your body is capable of doing so. Your rooms are designed to be patient-friendly and fully furnished so you have everything you need. Is this the first time that you heard of transitional care? We hope we have answered some questions you have in your mind. 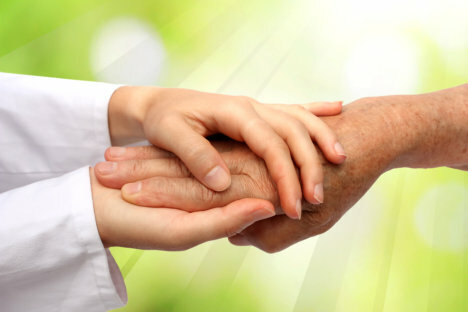 However, should you consider getting transitional care for your loved ones, it is important to note that there should be an order or recommendation from your doctor that the patient is already on their road to recovery. Should you have any queries or concerns, make sure to drop by our home care in Louisiana, the Bayou Home Care. We would love to hear your thoughts about transitional care! This entry was posted in Transitional Care and tagged hospital, monitor, multidisciplinary team, personal care, surgery. Bookmark the permalink.